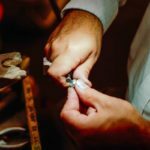 The Tiffany Workshop Jeweler has the skill set to support the construction and fabrication of High Jewelry. Experience working extensively in platinum and gold with all varieties of colored stones and diamonds. 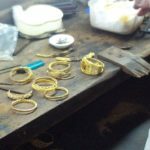 Jewelers are responsible for working with others to support projects from conception to the end to achieve projects goals. This is a full time position. We offer comprehensive benefits designed to add personal value for health and well-being, as well as financial protection for employees and their families. 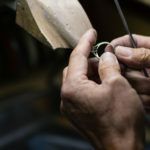 •Work safely at all times by consistently following safe work procedures for Jewelers, as well as all safety procedures required at your worksite. Promptly report all incidents and safety issues to your supervisor. Contributes to 5S improvements as demonstrated at your workstation and within the department. •Support the physical construction of High Jewelry products as well as repeatable pieces according to the project delivery timelines. 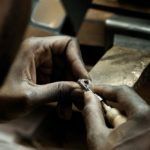 Responsible for cast cleaning, assembly and repair of gold platinum jewelry of all levels of complexity with all types of gems and diamonds. 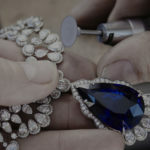 Ability to follow directions from peer coach and management and responsible for the handling of all gems and diamonds ensuring stones are protected at all times to avoid damage. 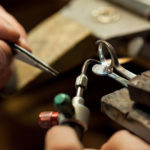 •Focus on improving overall efficiency by adhering to Tiffany and Company prescribed routing steps and within standard times for completion of jewelry pieces and key projects flowing through the Tiffany Workshop. Functions and responsibilities will be carried out in full compliance of quality standards, project timelines, instructions and procedures. Use appropriate tooling as required. •Communicate effectively to keep Manager updated on project status, issues, and concerns. Identify potential barriers to meeting completion timelines as soon as they arise. •Perform other duties to support department objectives and deliverables including but not limited to setting and polishing work as assigned to support departmental objectives and deliverables. Verify the accuracy of work orders in terms of but not limited to: tracking location, CODC if applicable, high value components. 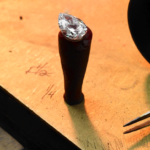 •Strong bench skills for jewelry and polishing.